One single chime can operate with an unlimited number of Bell pushes. Up to 5 doorbell buttons can be operated with different melodies indicating you where your visitors are ringing. 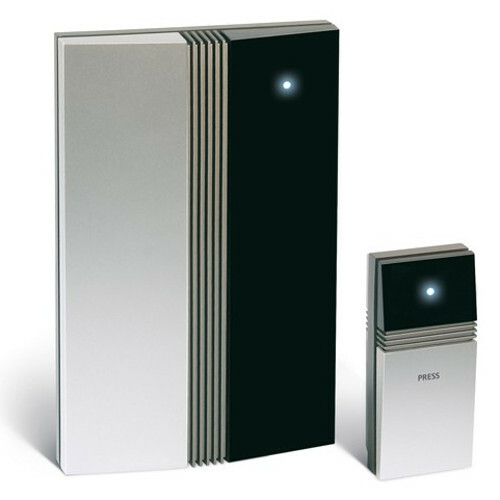 The Chime is designed to be wall mounted as well as free standing, enabling the user to bring it where needed within the working distance of 150 meters (492 feet). The optional mounting plate enables a quick unplugging and plugging of the doorbell to the wall. Furthermore it makes it permits a horizontal fixation of the doorbell to the wall. 1 bell push and batteries included.